The summer heat is rapidly approaching, and bouts of Summer have been sprinkled throughout the sky. However, the lingering of Autumn is upon us — and with each day, we come closer to the witching month. Of course, with the Fall weather comes the spill of horror films making their round. If you are a fan of gore galore, then you might happen to be familiar with The Conjuring horror franchise. It was in the first installment of this sinister series of films that we were introduced to Annabelle. In The Conjuring, just as with the sequel, we begin with a flashback to the infamous paranormal investigators, Ed and Lorraine Warren (Patrick Wilson and Vera Farmiga), taking on a new case. 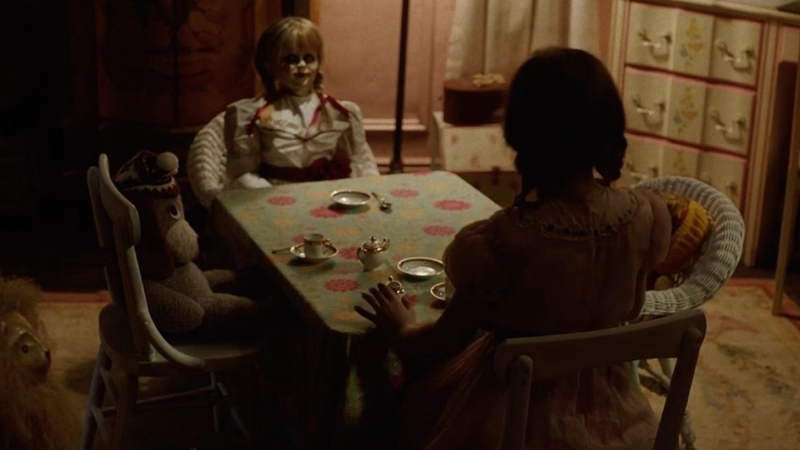 We first meet the couple as they are sitting across from three college students, discussing a doll named “Annabelle.” The horrified students reveal they believe the doll to be possessed by the spirit of a little girl that used to live in the home. The Warrens conclude that the doll is actually a spirit meant to possess one of the women. In 2014, John R. Leonetti directed Annabelle with a script penned by Gary Dauberman and produced by James Wan. 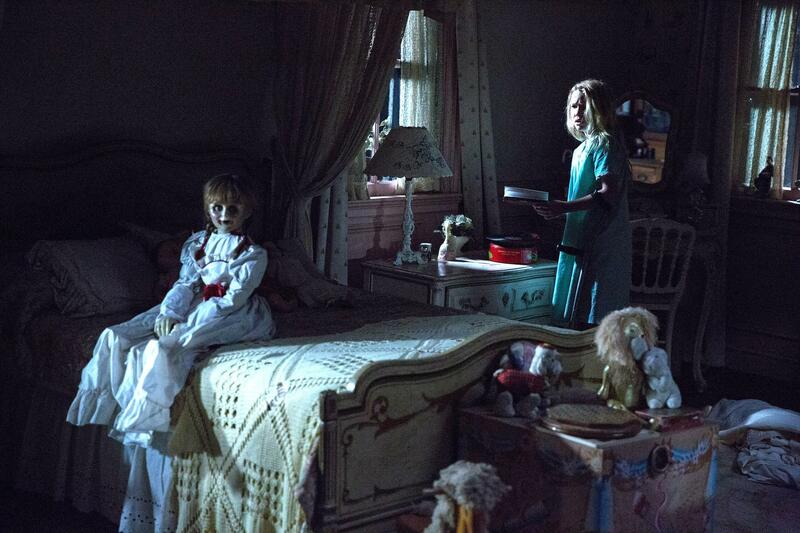 The film served as a prequel to 2013’s The Conjuring and the second film in the series, The Conjuring 2. 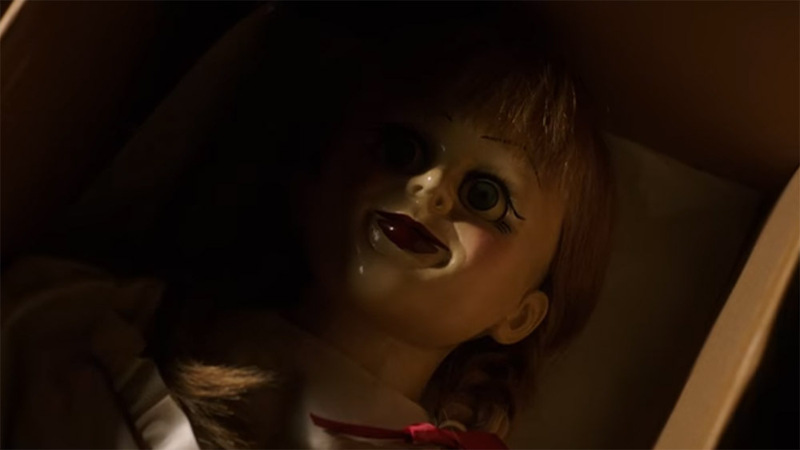 Although Annabelle did well in the box office, the storyline lacked the sinister and suspense factor of a good horror flick. That film, too, begins with the story of the students revealing their paranormal experience with the doll. In my honest opinion, I was highly disappointed in the outcome of the film. I felt it lacked originality and the build up of tension, coupled with a lackluster finale. In addition, the characters were severely underdeveloped. By the end, there were more questions than answers. In earlier versions of the script, the ending was more thought out and better executed. Sadly, the final version of the film seemed rushed and uninspired. Due to its success at the box office, a sequel to the film was inevitable. But how does it compare to the original? 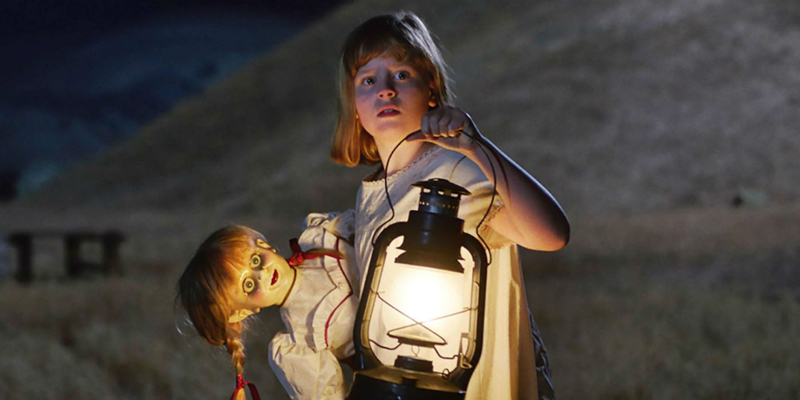 Fortunately, Annabelle: Creation is a wild ride into the origination of the coveted doll. Don’t let her flowing dress and tightly wrapped pigtails fool you; this girl is anything but cute. She is downright evil. But, how did she become evil? What are the roots of her story? What caused the demonic spirits to so freely move themselves into her home. With the success of the horror short and subsequent feature length film, Lights Out, talented director David F. Sandberg takes on a new spin to this case and does an excellent job bringing the story to life. 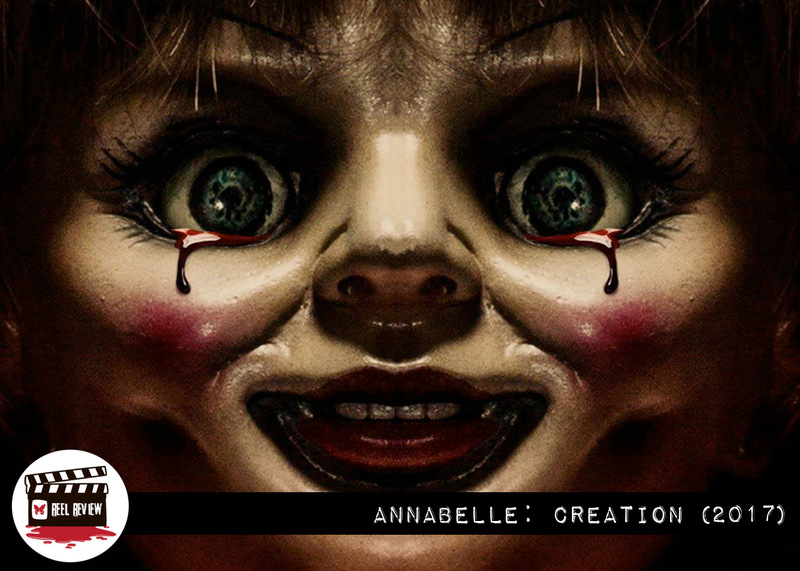 ‘Annabelle: Creation’ effectively blends together the thriller factor of the Conjuring series and spins it in such a refreshing light. This folks, is how you recreate a doll flick. The audience will genuinely feel an evil presence haunting the room. Another area that works well in the film is the scares — the jolt factors are actually legit. There are no cheap tricks like doors banging to create a false sense of fear. The scares will actually make you jump out of your seat or cover your eyes. Now the bad. The conclusion, again, feels rushed. There is no original premise. Viewers will find that the ending has been revamped, but it still remains the same as its predecessor in a way. Wrapping up a film that wasn’t originally your own project can be daunting, and sequels remain challenging for any horror film trying to bring a unique perspective to light. With that said, the good far outweighs the bad here. In conclusion, Annabelle: Creation is most certainly worth the watch. The film contains the right elements of a story, plot build up and believable characters. 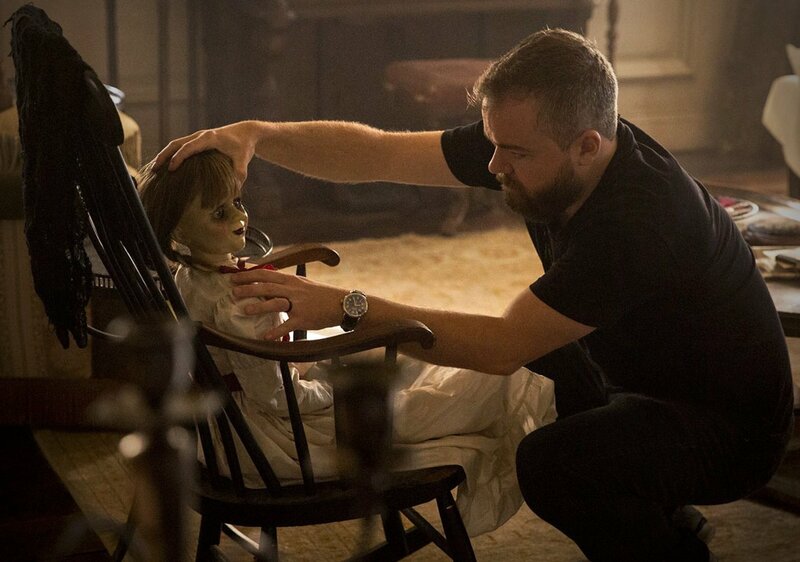 Fans of ‘The Conjuring’ and ‘Sinister’ will most likely really enjoy ‘Annabelle: Creation’. It succeeds by restoring the essence of a horror film that genre audiences crave. Our hats off to David Sandberg for bringing such a fresh and innovative film to the horror world. 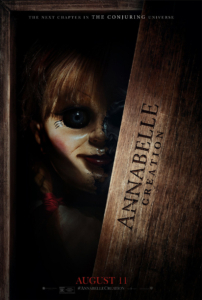 Annabelle: Creation is scheduled to be released in theaters August 11, 2017.